This is part 2 of a 5 part blog series about our DMZ tour. 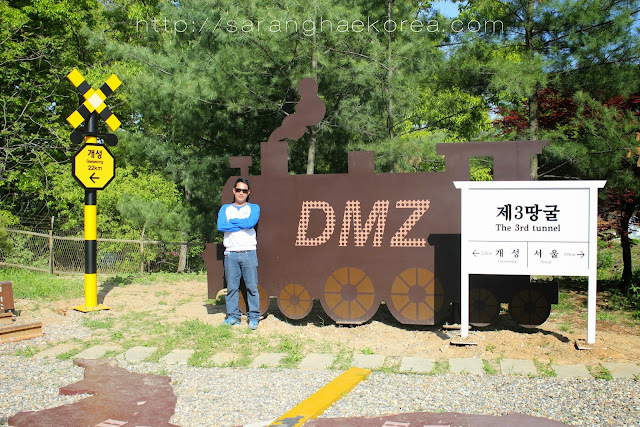 If you haven’t read it yet, I talked about the first stop of our DMZ tour which is at IMJINGAK and you can read the part 1 HERE. 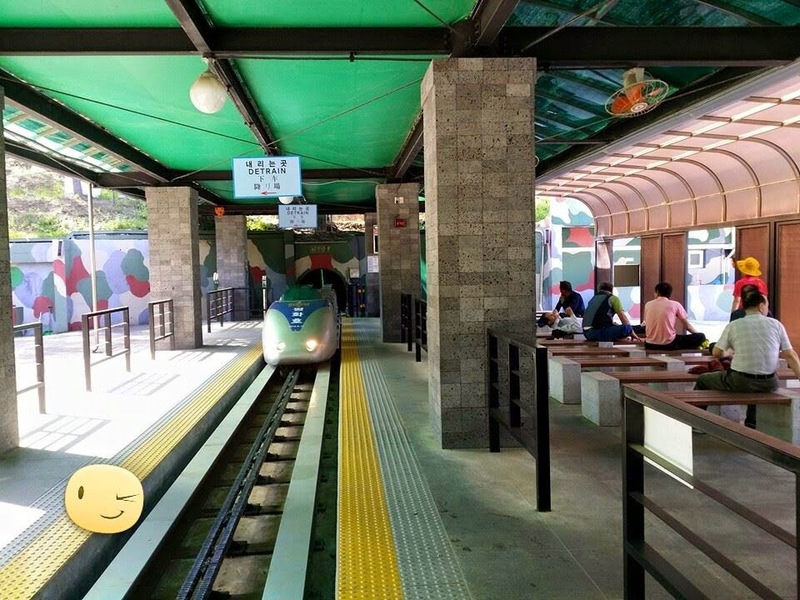 If you want to go beyond Imjingak, which is going near to the soil of North Korea, you must take the shuttle bus that would tour you to the second destination which is the Third Tunnel. There are a lot more but I guess these are the most important ones that you must take note to tour DMZ. So what’s the deal with the Third Infiltration tunnel? 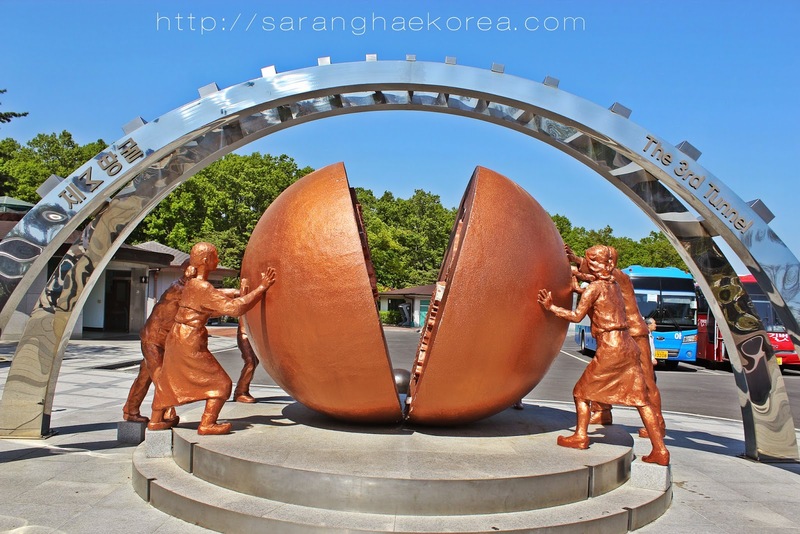 Well apparently, Korean Forces discovered the existence of this tunnel in 1978, and when they were looking for somebody to blame, North Korea insisted that the tunnel was intentionally made by South Korea in order to attack them. Upon further investigation, they found out that the explosion to create the tunnel is facing southward which means that the tunnel was made by North Korea to attack South Korea and not the other way around. They dug the tunnel so that their army could attack South Korea so they could be caught off guard, what a cowardice move. Around 30,000 soldiers can actually move through the tunnel per hour. Imagine the disaster it could have caused South Korea if the tunnel card had been played well. We entered the tunnel via a monorail train. The staffs made us wear helmet and I was like, this is too much!!! I don’t think we need this. But when we entered the tunnel, I immediately understood why they have to issue us hard hats. We were also advised to leave all our things in a locker and we must not take photos. If you’ll walk along a 2 meter width and a 2 meter height tunnel, you’ll be thankful you did not bring anything because that will definitely make your life miserable in the 73 m deep tunnel. If you are so tall or if you are claustrophobic, you may not enjoy the trip down there. We have to walk with our back creeping hunched so we could get through the tunnel. But if you are shorter enough not to reach the 2 m height, you’ll probably feel like walking in the park inside. We walked and walked and walked until we reached the area where we saw a coiled barbed wire blocking the triple concrete wall. It signifies the end of the tunnel and they have installed heavy security aside from the barbed wires so that nobody can get through the wall because after that wall, you’ll never sure if you can get back alive. It’s already North Korean soil and outside the boundary. 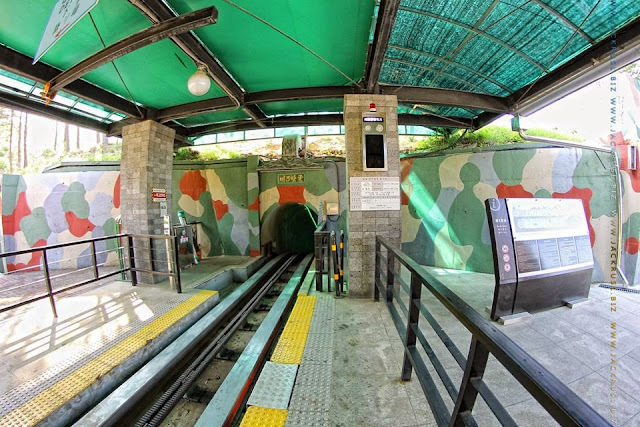 To add insult to the injury, North Koreans painted the rocks black inside the tunnel so they could make a coal mine a front for the creation of the tunnel. They are so tricky right? And it’s not awesome. Since we are not allowed to take photos inside the tunnel, there are still various sightseeing points outside and of course, photos are already allowed. Just like this intriguing structure about a round thing being split in two, it’s a no brainer to understand what it means. There is also a video room where you can see documentaries about DMZ but since our time was limited, we preferred to just roam around the vicinity of the tunnel. I like how nature oriented are the sculptures you can see in the area. They also have sightseeing points like this where you can see how the two Koreans were divided and the miniatures that show the DMZ area. It was a short stay at the Third Tunnel but I believe we made the most of our time not to mention the experience of going inside the tunnel that could have caused destruction to South Korea. I can just refresh how hard we walked inside the tunnel just to see what’s inside and I guess it’s all worth it. In part 3, I am going to bring you to Dorasan Observatory. It is an area in DMZ where you can see North Korea at its closest. I am excited to share it to you, but for now, wait until I get it posted. I would LOVE to explore that tunnel - how amazing that you got to experience this. Thank you so much for sharing all your amazing photos. DMZ look like a very cool place. I'd love to get there with the family one day. Love seeing the bits and pieces from your trip - the tunnel looks incredible! The DMZ tour would be something my entire family would enjoy. Looks like you had a fantastic tour. I didn't know there was so much to see in the demilitarized zone! The origin of the infiltration tunnel is really interesting. I'm glad it was never used for it's original purpose. That looks and sounds like a really great tour. I love seeing places I have never been before. This looks like an amazing trip to experience. I would love to go inside and explore that tunnel. The sculptures are amazing! I would love to explore something like this. However I would probably be scared to death, knowing the history of the area. I guess the ghosts of the past would be haunting me, but I know there is no reason to be scared! This is an awesome post and it is really interesting indeed. All parts of history everywhere have always been extremely interesting to me especially learning things I no nothing about. What an amazing tour indeed. Thanks for sharing. Love your pictures. That tunnel looks interesting. I bet you had a nice visit. Love the sculptures as well. Wow, what a cool looking place, I don't think I've ever seen anything like that. Your pictures are great, you've really showed off the sculptures and the tunnel well. This looks really cool!! You always take such great pics!! This looks like a place that my family and I would enjoying touring. Thanks for sharing your experience! That certainly looks like an interesting place to visit. The tunnel does look really neat. And the pictures are amazing! What an amazing experience you are having. I am enjoying your posts. I would love to explore this tunnel and learn all the history. Wow, that is a lot of people that can travel throughout that tunnel in one hour. 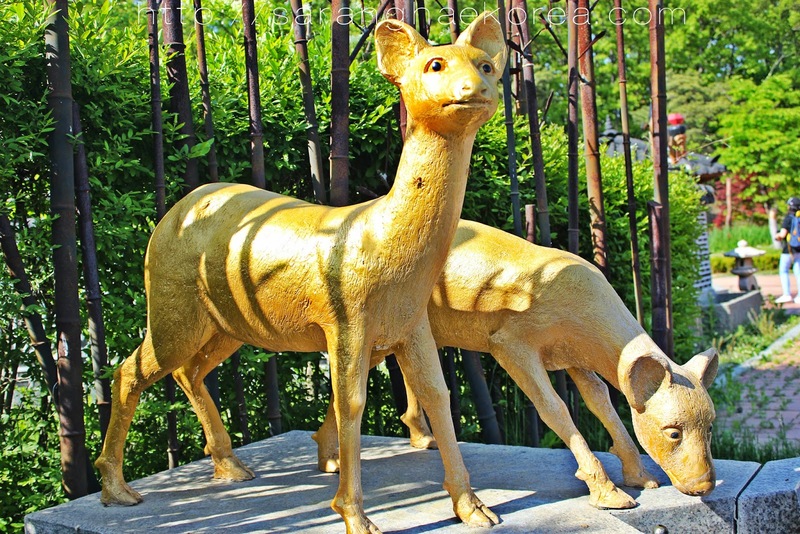 I like the sculptures you've featured in this post. I've really been enjoying your posts on the DMZ - so Interesting!! Thanks for sharing this! Omg looks like y'all had an awesome day!!!! I would love to visit someday! The tunnel sounds pretty neat! That sounds like a really interesting tour. Sounds like you all had a great day! Thanks for sharing. I will have to read the first post. I have never been out of the United States, looks like a really interesting tour!